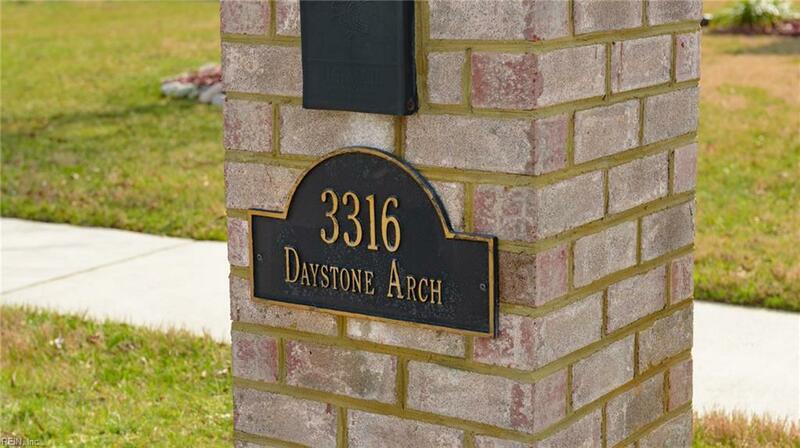 3316 Daystone Arch, Chesapeake, VA 23323 (#10250554) :: Abbitt Realty Co. Magnificent 3 year old, 4 bedroom, 2.5 bath, pool home in a quiet neighborhood with no HOA or CDD fees! 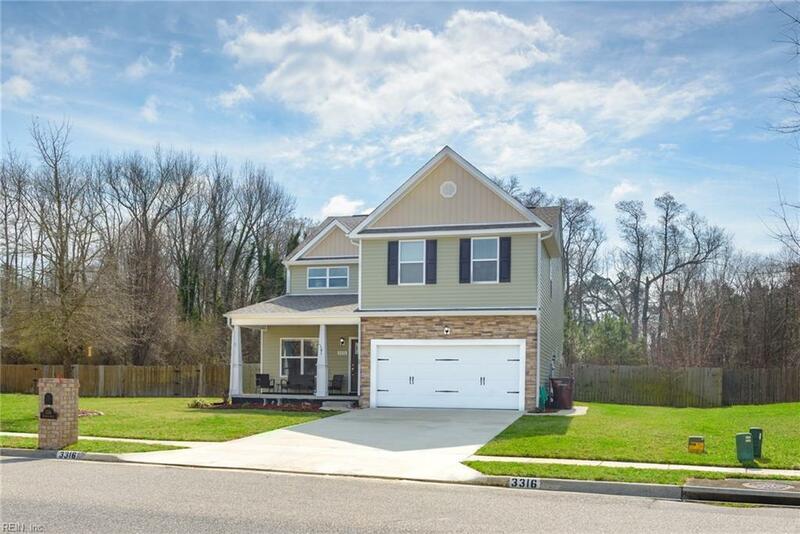 Meticulously maintained and upgraded with an extra foyer room. Open floor plan and high ceilings create a spacious and well lit, family oriented living space. Gleaming wood floors, beautiful tile in kitchen and baths, professionally cleaned carpets in bedrooms. 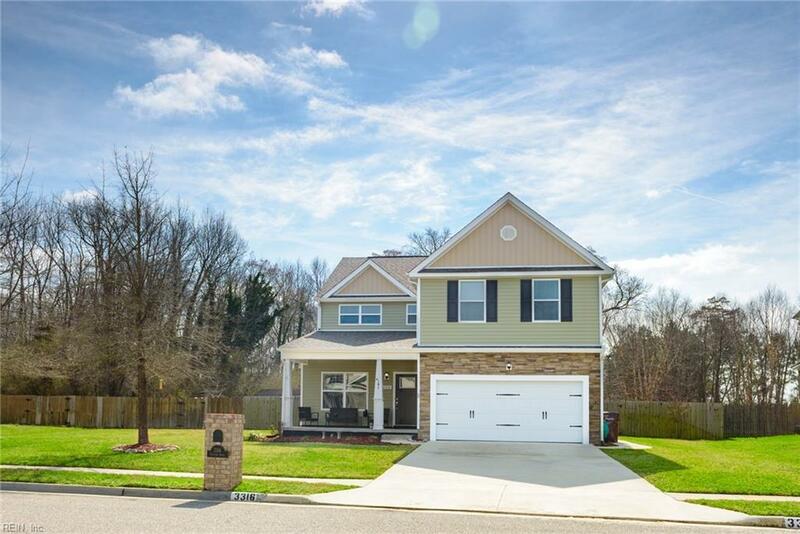 MBR has 2 enormous walk-in closets, large master bath and tub.Large kitchen with Kenmore Elite stainless steel appliances, quartz counter-tops and soft close cabinets with lots of storage space. Beautifully landscaped, huge backyard with in-ground, salt water pool and Aqua Plus remote pool control. The extended patio deck has an electric, retractable Sun-setter awning with motion sensors.Custom designed garage by Garage Monkey with epoxy flooring, custom cabinets and butcher-block work-bench.